He may not be much to look at, but Henry Arnold Waxman has been my congressional representative since 1975 and one of the few members of the House of Representatives whom I would NOT grind into dog food to feed to rabid dogs. Eschewing the limelight, he has been an exemplary hard worker dedicated to passing legislation that actually helped people. Because of the demographic make-up of California’s 33rd district, I don’t expect we’ll be seeing him replaced by some tea party type who aims to collect $174,000 a year to sabotage everything near and dear to the voters who elected him, her, or it. Probably best known for his contributions to health and environmental issues, Waxman will be sorely missed by people who care. Over the last four years, the House of Representatives has been justly reviled for the white trash that has taken over, using the Congress as a bully pulpit to make stupid statements, such as the recent campaign by Darrell Issa (R-CA) to gut the U.S. Postal Service. I still think most Republican Congressman should be made to don orange jumpsuits and be hauled off to Guantanamo. 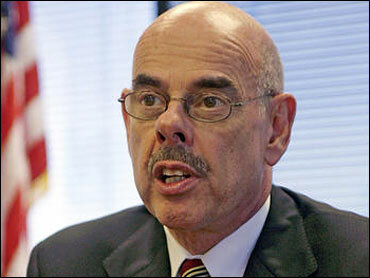 Now that Waxman, won’t be there, the IQ of Congress has dropped by several whole percentage points. Serendipity strikes again. I just read an obscure Ukrainian crime story by Andrey Kurkov entitled Death and the Penguin. The narrator is one Viktor Akelseyevich Zolataryov who writes for publication what his editor refers to as obelisks. These are obituary essays written about living people so that, when death comes to them, the newspaper is not caught short for materials to publish quickly. Oddly, though, it seems that all too many of the individuals Andrey memorializes in his deathless prose wind up … dead. My favorite character is Viktor’s pet and companion, the King Penguin Mischa. When the zoo in Kiev was suffering a financial meltdown, they sold their penguins; and Viktor bought the one he called Mischa. Mischa is very like the King Penguin at the right in the above picture, which was taken on the Isla de Pájaros on the Beagle Channel in Tierra Del Fuego. 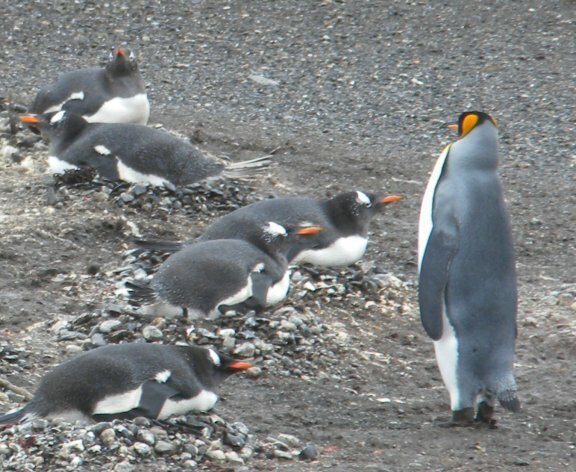 The largish penguin took a wrong turn into the Beagle Channel and wound up in a rookery consisting mostly of Magellanic Penguins and some Gentoos. It was obviously very lonely and disappointed. Every once in a while, he would try to mate with one of the Magellanic females, but caused uproars every time he tried. Viktor’s Mischa shambles around the apartment, looking into the mirror, establishing a kind of hiding place behind some furniture, and displaying all the symptoms of a morose and puzzled disposition occasionally verging on depression. Even while Viktor worries that his writing job is connected with an assassination ring, Mischa slowly keeps getting worse. At the same time, he winds up taking care of Sonya, the daughter of one “Mischa-non-penguin,” who was associated with the editor who hired the writer, and who disappears after leaving money and a pistol. He also hires a teenage girl, the niece of his friend Sergey (who dies mysteriously) as a nanny for Sonya, who lethargically enters into a relationship with him. I loved Death and the Penguin for its mellow strangeness. For a man surrounded by violent death, to which he may be contributing in some unexplained way, Viktor is relatively cool. Eventually, the situation changes rapidly. Mischa becomes ill and gets a heart transplant; and Viktor, well, let us say he takes action of an unexpected kind. 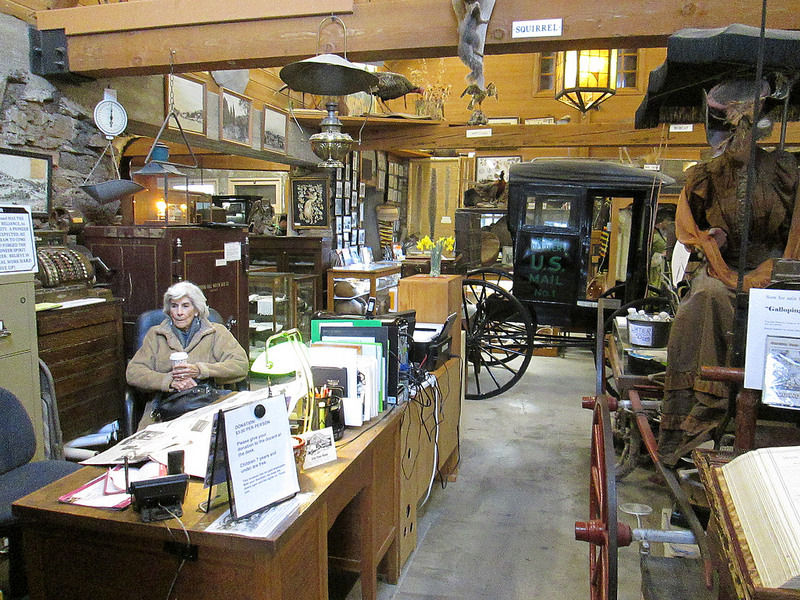 One of our favorite things to do in small towns in the West is to hunt up the local historical museum. Julian, California, was no exception. Our first full day in Anza Borrego, Martine and I slowly wound our way up the Banner Grade to the small mountain town that sits at the 5,000 foot (or 1,524 meter) level in a pine forest. It was a nippy day on top of the mountain, so we were delighted to find the Julian Pioneer Museum on Highway 78 right near the center of town, where we received a warm welcome. It was cluttered, but with things redolent of the past and sometimes with a long historical pedigree. For instance, there were several bookcases with glass doors that belonged to President Ulysses S. Grant. He had sent them to his son in San Diego. Some of them found their way to Julian. There was also a chair that belonged to Pio Pico, the last Mexican governor of California, and a very worn pocket knife that once belonged to Zachary Taylor. On the rafters were taxidermy specimens of the local bird and mammal wildlife. There were carriages, a huge (the largest West of the Mississippi, it is claimed) collection of homemade lace, and the tools of the trade for several of the early professions in this Old West town. Although it was forbidden to take pictures in the interior, I asked permission to take the above photo from the foyer. 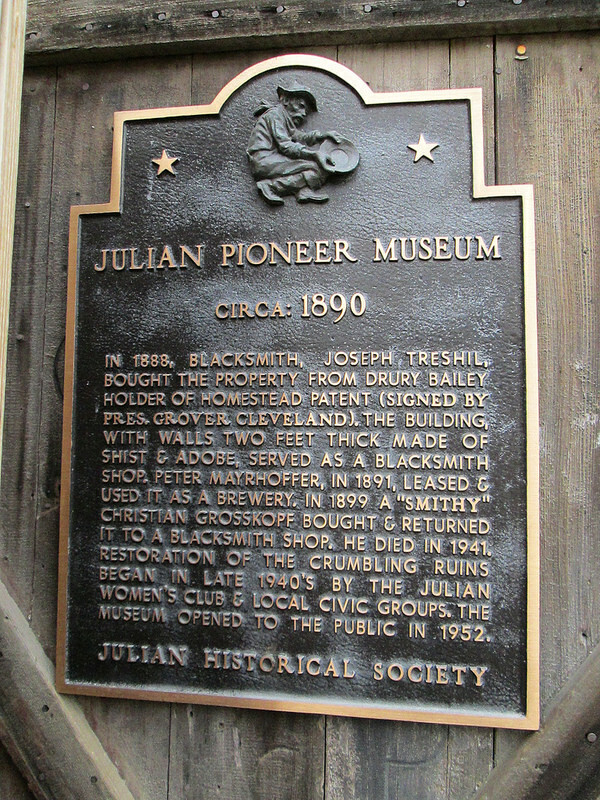 Originally, the building was a blacksmith shop built of the native Julian Schist back in 1890 (see bronze commemorative plate below), then a brewery, before once again becoming a blacksmith shop before winding up a ruin that was restored to become a museum back in 1952. The Julian Historical Society did such a good job putting together the collections that I rank it with my two favorite California historical museums: the Laws Railroad Museum in California’s Owens Valley near Bishop and the Eastern California Museum, also in the Owens Valley, in Independence, right opposite the house of late writer Mary Austin, whose The Land of Little Rain is a California classic. Much of what has been written about the Old West comes under the heading of “printing the legend” (q.v. John Ford’s The Man Who Shot Liberty Valance), but there is plenty to see that is real and fascinating. The Julian Pioneer Museum is one of those places. And while you’re in Julian, don’t forget to drop in at Miner’s Diner for lunch and at one of the local bakeries for a great piece of apple pie. James — With just 72 hours until the FEC deadline, we’d usually write to tell you how incredibly close we are to hitting our goal. Bad news: That simply isn’t the case. Because of the Koch brothers’ UNPRECEDENTED early spending, we just dramatically boosted our fundraising targets for 2014. Right now, we still have a $300,000 hole in our January budget. If you can’t fill it, the Republicans can open a massive lead in the neck-and-neck battle for the Senate. If we fall short this early — when MSNBC already projects the Republicans are favored to take the Senate — we simply won’t be able to respond to the Kochs and karl Rove, which will doom our chances to protect Democrats who are under attack. Will you step up and renew your DSCC membership for 2014 before the deadline on Friday? 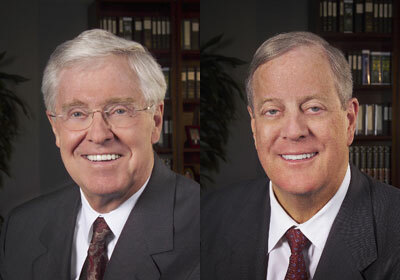 So unless I personally go head to head with a couple of multi-millionaires in the political contribution department, Karl Rove and the Koch brothers will prevail because—as we all know—what it takes to win an election is money for otiose advertisements on television. Of course, everybody votes based on the candidate’s advertising budget alone. I’m supposed to step up and take it on the chin for the team. The Spineless Team. The Circular Firing Squad Team. To be sure, I want Democratic candidates to win; but I will not be contributing hundreds of dollars for an off-year Congressional race. I have better uses for my money than making a bunch of big corporations that own television stations even richer. And all because Karl Rove and the Koch brothers don’t think the way I do. 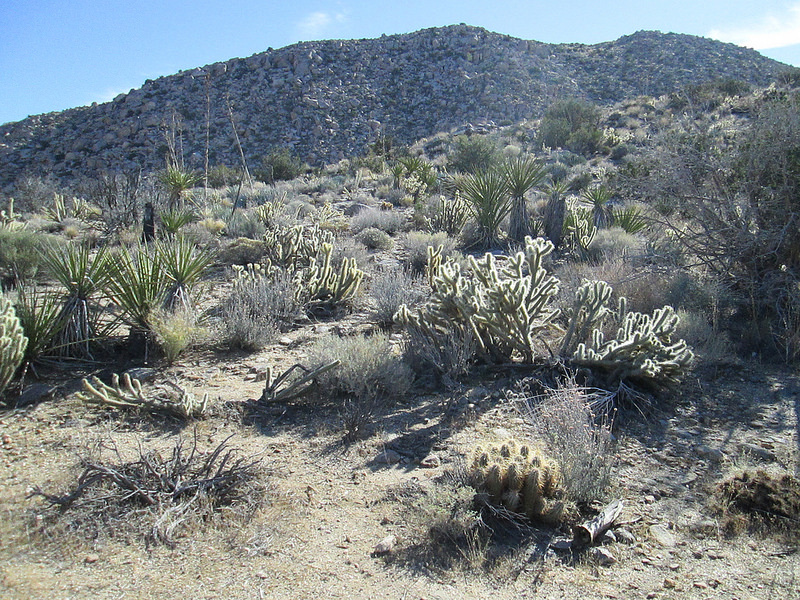 It’s maybe not what you or I would like to eat, but the Kumeyaay Indians of the Anza Borrego Desert managed to survive in a highly hostile environment eating roasted yucca leaves, cakes made with the flour of ground piñon pines, and whatever else they could concoct with the highly limited plant life of the area. The Blair Valley about four miles in from Highway S22 contains an unusual concentration of plant life (see photo below). 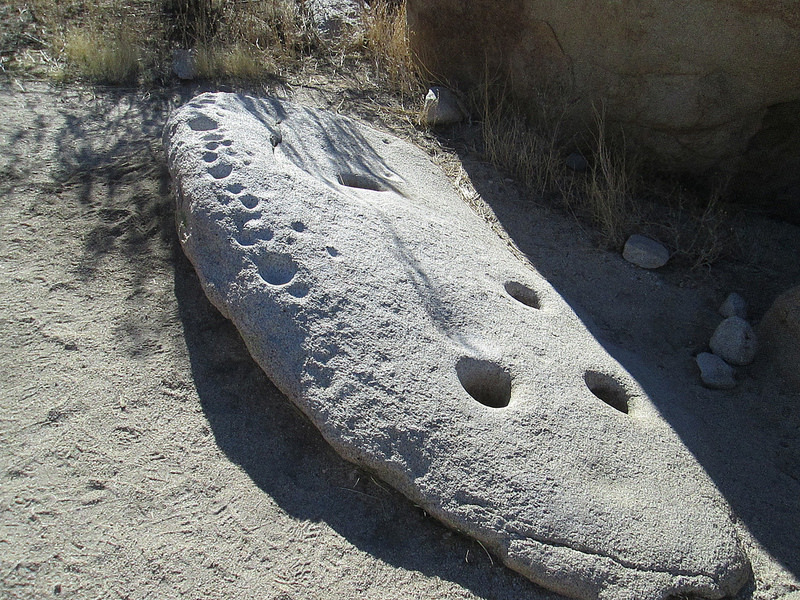 Kumeyaay women would find a rock to use as a mano (grindstone) and grind various edible cactus and juniper parts against rocks until depressions formed in them. These depressions (as shown above) were referred to as morteros. The Mortero Trail in the Blair Valley leads to a nicely sheltered “kitchen” area where there are numerous morteros and cupules (vertical morteros, probably for ceremonial purposes). Sometimes I wonder what use the tribe made of the creosote bushes and cholla cacti that seem to predominate in the area, but my knowledge only goes so far. Suffice it to say that the Kumeyaay still survives as a tribe in several reservations in California and Mexico’s State of Baja California. Martine did not like the trail very much, because the pamphlet describing sights along the way was incomplete due to vandalism or some other reason. I loved it and felt that the Kumeyaay village site was probably the most beautiful corner of the whole Anza Borrego desert region. Martine and I have just returned from four days in the Anza Borrego Desert, the largest contiguous state park in the United States. Compared to the larger National Parks, it is something of a poor orphan; but there is much to be seen. The only problem is it’s very much a do-it-yourself experience. The trails are not very well marked. On Friday, we took what we thought was the Narrows Trail off State Route 78, only to find that there was no clearly defined trailhead, no clearly defined trail, and a plethora of steps leading off in every direction. On Saturday we had better luck. Nonetheless, I even enjoyed our missteps. Because she lived in Twenty Nine Palms for three years working at the Naval Hospital there, Martine does not value the desert as much as I do: I would not live there, but I find that a visit there helps clarify my mind and brings a sense of peace. 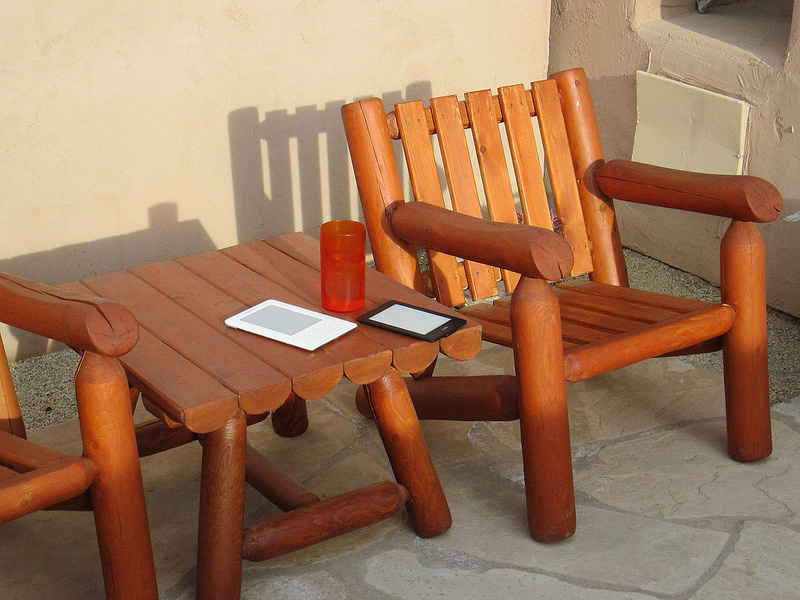 Shown above is our private patio at the Borrego Valley Inn in Borrego Springs. On the table are my two Kindles and a tall glass of ice water. I finally managed to finish reading Tony Judt’s massive Postwar: A History of Europe Since 1945, and I made a large dent in Junot Diaz’s The Brief Wondrous Life of Oscar Wao. While Martine watched television, I read hundreds of pages after returning from our day trips. The combination of exercise and reading concentrates the mind nicely. In the days to follow, I will write several postings about our desert experiences. Before tax season gets too intense, Martine and I will spend a four-day weekend in Southern California’s Anza-Borrego Desert. 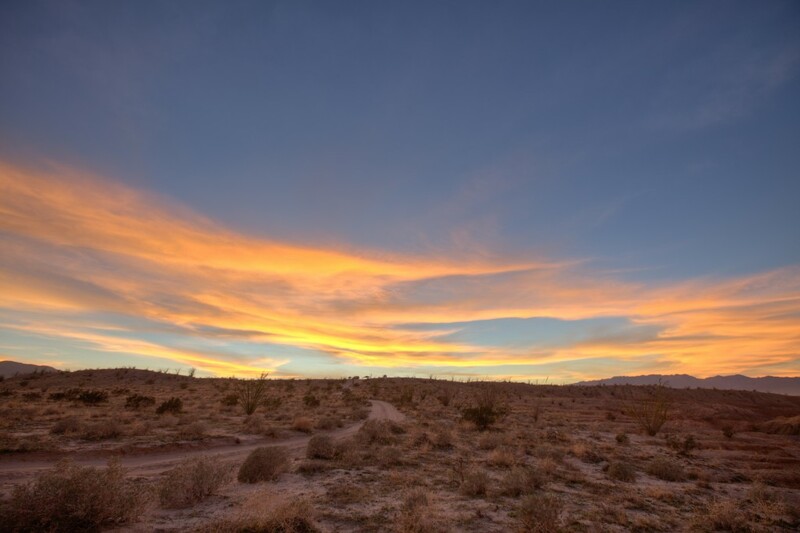 Occupying the eastern third of San Diego County and stretching roughly from just south of Mount San Jacinto to the Mexican Border, the Anza-Borrego Desert State Park is the largest state park in the United States, and also one of the least known. And, for all its desolation, it is a place of surpassing beauty. Here one can actually sees stars at night—by the million. If one goes at the right time of year, the desert can be a healing place. What is the right time of year? I would say from late October to late May. During the summer, temperatures can rise to 130 degrees Fahrenheit (or 54.5 degrees Celsius). Only emergency workers and German tourists try to brave the blast furnace heat of a desert summer. As I do not have a notebook computer (nor do I want access to one at this time), I will not be blogging again until Sunday or Monday.